Catherine Schultz, Ph.D. is a Reiki Master and the author of a book entitled "bliss: Living in Silent Awareness" based on her dissertation on the subject. 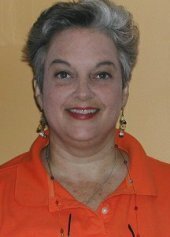 She has over 27 years of experience in facilitating healing experiences for individuals and groups. 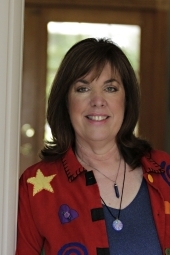 Dr. Schultz offers life coaching & spiritual consultations from the perspective of living in bliss and energy healing including Usui & Karuna Reiki, ReConnection, Shamanic methods and the Adamantine Health System. She also offers all levels of Usui Reiki training. Her community programs known as "Bliss Gatherings" include live music, poetry, art and dialogue to reveal the inherent clear awareness of one self contained in each moment. Insights from these gatherings can be found at www.blissblog.net. 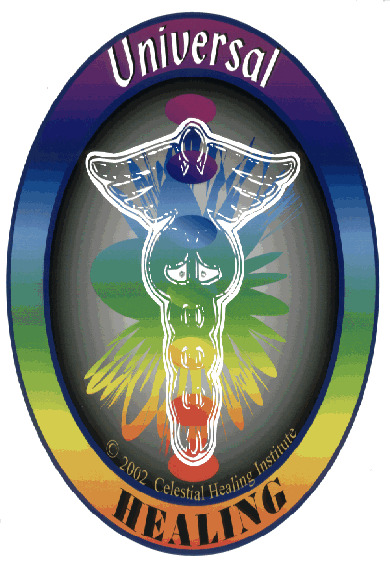 Celestial Healing Institute provides consultations, classes and private sessions using a variety of methodologies including but not limited to Aura-Soma, Sakara, AngelicLight and Crystals, which assist and encourage clients to be pro-active and to be consciously aware in manifesting wholeness and balance of mind, body and spirit. Private, group and online classes, workshops and attunements are available for the following: Order of Melchizedek, Reiki, Seichem, Violet Flame and YOD. All class participants receive a certificate upon completion. Inanna's Challenge: Choosing Change. A paradigm for understanding change and the role it plays in our growth, individuation and integration. Inanna promises to be a powerful experience to inspire new ways of thinking about change as well as teach useful techniques that can be put into practice. Specially designed for women committed to their own personal growth & understanding life changes, transition and the unfolding of the human soul. THANK YOU FOR SEEKING A BETTER, HEALTHIER LIFE FOR YOURSELF. TOGETHER YOU AND I CAN MAKE PERMANENT POSITIVE LIFE ALTERING CHANGES FOR YOU. ELIMINATE SELF SABOTAGING ADDICTIONS, HABITS AND FEARS PERMANENTLY IN YOUR LIFE THROUGH HYPNOSIS, REIKI AND HOLISTIC PSYCHOLOGY,SPIRITUAL COUNSELING AND GUIDANCE. LEARN BETTER SKILLS FOR LIVING A HAPPY FULFILLING LIFE. WHATEVER YOUR ISSUE, YOU'VE COME TO THE RIGHT PLACE. To e-mail me, simply click on the "CONTACT MEMBER" button in the upper left hand list of options above. Through Spiritual Guidance I can help you realize your goals and passions, determine how best to achieve them, and support you throughout the process. >See my fee schedule below. How does hypnosis work in quitting smoking, losing weight, drug addiction and self sabotaging habits and behaviors? Our minds work on two levels – the conscious (10%) and the unconscious (90%). We make decisions, think, and act with our conscious mind. The unconscious mind controls our behaviors, habits and addictions. In the relaxed state known as hypnosis, we can communicate directly with the unconscious mind, the addictive thoughts which form habits. This is why it is so quick and easy to change lifetime habits and addictions with hypnosis. Hypnosis is possibly as old as mankind. The old myths and misconceptions about hypnosis have given way to proven, scientifically sound applications. Today the use of hypnosis is seen in a variety of fields including: medicine, dentistry, law enforcement, professional sports, and education. Most people have a limited understanding of the way hypnosis can help them redirect their mind to thoughts which effect their life in a positive productive way. I would like to correct some of the myths and answer the most frequently asked questions about hypnosis. Most, every normal person can be hypnotized. That is, people with an IQ of at least 70, and no severe mental disorders. Therefore, almost anyone can achieve successful results using hypnosis. The key to a successful hypnosis session is to feel safe and able to relax and let yourself go. Hypnosis is really just a relaxed state of being. Some people feel relaxed and lethargic, others feel a lightness. One thing that people do notice is subtle changes in their daily behavior. Hypnosis is really only accessing a different level of consciousness. We do this every night when we go to sleep. Hypnosis is completely safe. You are aware and in control at every moment and can stop the session at any time. Hypnosis is not sleep, nor can you get “stuck” in a state of hypnosis. You can’t be made to do something against your will. Hypnosis is a safe, relaxing, and an enjoyable experience. How does hypnosis help me to stop the drug addictions/smoking/self sabotaging habits? Because these are all habits, it is controlled by the unconscious mind. Since hypnosis works directly with the unconscious, this is the most powerful method available. I can help you effortlessly transition into the healthy addiction free lifestyle. Family and friends won't be exposed. Less coughs, colds, flu and chest infections. To not be a slave to addictions. Of the 4,000 chemicals contained in tar, 60 are known to cause cancer. MAYBE YOUR GOAL IS TO LOSE WEIGHT. DIETING IS NOT GOING TO BE YOUR ANSWER TO LASTING PERMANENT RESULTS. OUR THOUGHTS SEND MESSAGES TO OUR BODIES AND CELLS. WHEN WE THINK NEGATIVE THOUGHTS ABOUT OURSELVES, OUR BODIES RESPOND. WHEN WE THINK POSITIVE THOUGHTS TO OUR BODIES ABOUT OURSELVES, WE GET POSITIVE RESULTS. LOSING WEIGHT THROUGH HYPNOSIS IS ANOTHER POWERFUL WAY TO ACCESS THE UNCONSCIOUS MIND TO CHANGE THE THOUGHTS WE HOLD ABOUT OURSELVES. BY RELEASING THE SELF SABOTAGING, NEGATIVE THOUGHTS ABOUT OURSELVES, WE CAN REPLACE NEGATIVE WITH POSITIVE, HEALTHY THOUGHTS ABOUT OURSELVES. THOUGHTS LIKE "I AM BEAUTIFUL", "I AM HEALTHY, WHOLE AND COMPLETE", "I LIVE IN A THIN AND BEAUTIFULLY TONED BODY", "I ENJOY FEEDING MY BODY HEALTHY FOODS AND EXERCISING". THESE ARE JUST SOME EXAMPLES. BY SENDING POSITIVE THOUGHTS TO OURSELVES AND OUR BODIES, WE BEGIN TO CHANGE OUR PERCEPTION ABOUT OURSELVES. YOU'LL NATURALLY BEGIN TO WANT TO TAKE BETTER CARE OF YOURSELF. YOU'LL WANT TO EAT HEALTHIER FOODS. YOU'LL FIND THAT YOU AUTOMATICALLY WANT TO MAKE HEALTHIER CHOICES IN YOUR LIFE. THERE'S NO TORTURE, DIETING OR KILLING YOURSELF ON THE TREADMILL, THERE IS NO "PRE-PURCHASED FOOD". YOU DON'T HAVE TO STARVE YOURSELF EITHER. IT'S ABOUT LOVING YOURSELF AND TREATING YOUR BODY WITH RESPECT BY MAKING HEALTHIER CHOICES AND THAT WILL COME NATURALLY. IT'S A LIFE LONG CHANGE FROM WITHIN, YOU WON'T EVEN HAVE TO THINK ABOUT IT. How does hypnosis help me to lose weight? Because over eating is a habit too, it is also controlled by the unconscious mind. Since hypnosis works directly with the unconscious, this is the most powerful method available. I can help you effortlessly transition into the healthy lifestyle and healthy beautiful body you so desire. I can help you to find within yourself, a love for yourself and your life. Look better and feel better about yourself, raise your self esteem. IF YOU WISH TO LEARN MORE ABOUT HYPNOSIS, MY FEES AND WHAT TO EXPECT DURING A HYPNOTHERAPY SESSION SIMPLY ARROW DOWN TO FIND THE SECTIONS ABOUT FEES, HYPNOTHERAPY AMD HYPNOSIS. Experience a one on one live session together or I also offer a recorded Hypnotherapy session cd that will be specifically and uniquely created just for you, which can be mailed to you at home. You can experience a Hypnotherapy session in the privacy of your own home, created specifically just for you, working on whatever issue you feel the need to. You choose the topic and I create the CD and mail it to you. Just by listening to the CD at home by yourself, you can gain the same, if not more effective results than a live session, because you are more relaxed in your home and because you can listen to your CD over and over again. The more you re-visit the experience, the better success you will have. A highly effective way to use your personalized CD is when going to bed. You can repeat the CD over and over again throughout the night if you wish. Personalized Hypnotherapy CD's and live sessions are 80 minutes long and are $150.00, both sessions provide a recorded cd. TO SCHEDULE A SESSION OR FOR QUESTIONS, SIMPLY CLICK ON THE BUTTON AT THE TOP LEFT SIDE OF THE PAGE THAT SAYS "CONTACT MEMBER". THE THOUGHTS WE PLAY THROUGH OUR MINDS ABOUT OURSELVES AND OUR LIVES TRULY MANIFEST OUR REALITY. THROUGH HYPNOSIS WE CAN RECALL AND RELEASE THE FEAR BASED, SELF SABOTAGING THOUGHT PATTERNS WE'RE PLAYING IN OUR MIND AND REPLACE THEM WITH NEW POSITIVE, AFFIRMATIVE THOUGHTS ABOUT OURSELF AND OUR LIVES, THEREFORE MAKING A PERMANENT CHANGE. MAYBE YOU SMOKE OR OVEREAT DUE TO HIGH LEVELS OF STRESS IN YOUR LIFE. WE CAN WORK ON THAT TOO. WE CAN WORK TO HELP YOU MAKE BETTER CHOICES TO MANAGE AND REACT TO STRESS. I THINK STRESS IS PROBABLY THE NUMBER ONE REASON WHY PEOPLE SMOKE, OVEREAT AND HAVE OTHER PROBLEMS IN THEIR LIVES. STRESS CAN BE MANAGED AND REDUCED BY SIMPLY FOCUSING OUR THOUGHTS ON SOMETHING PEACEFUL, BY MAKING NEW HEALTHIER CHOICES. THE BODY RESPONDS TO OUR THOUGHTS. OUR THOUGHTS CAN BE CHANGED AND GUIDED THROUGH HYPNOSIS. DO YOU FIND YOURSELF IN ANY OF THESE STATES OF MIND? Where is my perfect compatible mate? Is this really the right work for me? I know there's more to life than this. Why can't I overcome this addiction in my life? Do you that feel your life is stuck or lacks meaning and purpose, do you feel overwhelmed, exhausted, stressed out, worthless and alone? If so, there is hope. I can help you. MAKE PERMANENT, POSITIVE CHANGES IN YOUR LIFE THROUGH HYPNOSIS, SPIRITUAL GROWTH AND REIKI WITH THE SUPPORT AND CONNECTION TO GOD AND THE MANY ANGELS AND POWERFUL ENERGIES FROM ABOVE WHO ARE WAITING TO SUPPORT, GUIDE AND ASSIST YOU IN ACCOMPLISHING YOUR GOALS. YOU HOLD THE POWER WITHIN YOURSELF TO HEAL ANY ISSUE FROM BUILDING SELF ESTEEM/SELF CONFIDENCE, CAREER GUIDANCE, QUITTING SMOKING, LOSING WEIGHT, ELIMINATING FEARS/PHOBIAS, STRESS MANAGEMENT, ANXIETY, DEATH/DYING/GRIEF ISSUES, FEAR OF DEATH, DRUG ADDICTIONS, RELATIONSHIP ISSUES, NEGATIVE PAST LIFE MEMORIES/EVENTS/TRAUMAS/CELL MEMORIES, PAIN MANAGEMENT, HEALTH CHALLENGES, LIFE PURPOSE GUIDANCE, CHRONIC MEDICAL PROBLEMS, REOCCURING DREAMS/NIGHTMARES, NEGATIVE THOUGHT PATTERNS OR ANY OTHER ISSUE YOU ARE FACED WITH. I ALSO OFFER ONE ON ONE SPIRITUAL GUIDANCE. Spiritual growth is the opening of the mind to new concepts and personal truths outside of the illusory perceptions produced by false belief systems ... it is actually a movement toward reality ... it is a process of learning about our spirit within ... a process of becoming a stronger and better being ... a process of coming to know who we really are as spiritual beings. (Be-ings of spirit). It is the process of moving closer to being able to love unconditionally ... our primary goal on this journey called life. It is every person's ultimate goal to learn to love unconditionally and "Be" that who we really are ... Spirits Of Unconditional Love (SOUL). Words alone cannot express the rewards that we receive out of growing spiritually. The more we grow, the better our life becomes. We experience more peace and less fear and anxiety, more love and less hate, more joy and less pain. You will find that your relationships with others go more smoothly because you are better able to choose relationships that are good for you. Relationships that more closely resonate with your own vibrations. You make less mistakes, such as becoming involved with the wrong people and situations. Those people and situations that are not for your greatest good. On the more mental side, we become more sensitive to thinking consciously and therefore are able to think more clearly, and are better able to sense what to expect in particular situations. See below my fee schedule. I ALSO OFFER ONE ON ONE REIKI TRAINING AND HEALING TREATMENTS. SCROLL DOWN TO LEARN MORE ABOUT REIKI. I WORK WITHIN THE PHOENIX METROPOLITAN AREA OR VIA PHONE OR E-MAIL THROUGHOUT THE WORLD. SIMPLY E-MAIL LORI AT Lr444k@cox.net or click on the "CONTACT MEMBER" button at the upper left hand corner of this page to schedule an appointment or for questions. IF YOU WISH TO LEARN MORE ABOUT ME OR THE SERVICES I OFFER, SIMPLY SCROLL DOWN TO YOUR SPECIFIC AREA OF INTEREST. RAISE YOUR LEVEL OF CONSCIOUSNESS AND LIFT YOUR LIFE TO NEW LEVELS OF HEALTH, JOY, HAPPINESS AND FULFILLMENT. AFFIRMATIVE POSITIVE THOUGHTS CREATE A POSITIVE LIFE EXPERIENCE. "WHAT YOU THINK ABOUT COMES ABOUT". A Place of Healing, LLC, located in downtown Battle Creek, Michigan, offers Personal and Remote Rising Star Healing Sessions, Prema Birthing Sessions, 22-Strand DNA Activations, Personal and Remote Reiki Sessions and Donna Eden Energy Sessions. The Center also offers Reiki Healing for animals. Classes offered include: Rising Star Teacher Initiations, More Truth Will Set You Free Workshops, Reiki I and II, and Gifts of the Spirit (a class on meditation and channeling). PRANIC HEALING was brought into modern awareness by Grand Master Choa Kok Sui of the Philipines. Pranic Healing is a highly developed and tested system of energy healing techniques that utilizes "prana" to balance, harmonize and transform the body's energy systems and chakras. "Prana" is a Sanskrit word that means "life-force". This invisible life force energy keeps the body alive and maintains a state of good health and wellbeing. Pranic Healing is a simple yet powerful and effective no-touch energy healing. It is based on the fundamental principle that the body is a "self-repairing" living entity that possesses the innate ability to heal itself. PRANIC HEALING works on the principle that the healing process is accelerated by increasing the life force energy. As an art and science, PRANIC HEALING was widely practiced in ancient civilizations in China, Egypt and India. Using a "no-touch" methodology, PRANIC HEALING utilizes prana to initiate rapid biochemical changes to accelerate the body's innate ability to prevent, alleviate, and heal a whole spectrum of physical, emotional, and mental ailments. I am a Usui Reiki Master; nineth in lineage from Dr. Usui, an Ordained SHES Minister and a Crystal, Intuitive Healer. I follow the thought that the path to healing is in our hands. Take accountability for your own body and life choices; choose again, choose a healthy life style. I train Reiki students in Level I, II & Master level Reiki skills and perform the attunements at the completion of each class level. I also offer Reiki Healing sessions, in house or mobile. The heart of Erica’s practice is working with clients to help them improve their health, self-image and life balance. 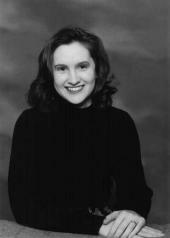 She specializes in Energy Meridian Therapies including Acutonics, Colorpuncture and EFT. In addition, she also offers holistic therapies such as BodyTalk, Chakra Balancing, CranioSacral therapy and Reiki. Her private clinic is located in Wichita, Kansas. Erica suggests new clients call for a free 15-minute phone consultation to discuss their health goals and her services. 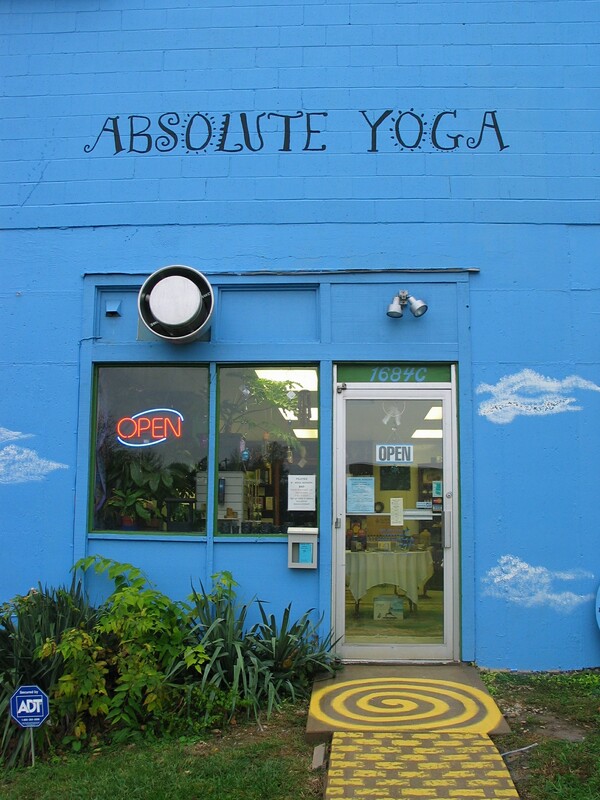 ABSOLUTE YOGA IS AN INTIMATE STUDIO THAT HAS AN ATMOSPHERE OF PEACE AND TRANQUILITY. WE TEACH IN THE STYLES OF HATHA,VINYASA,PRENATAL AND KID'S YOGA! WE ALSO OFFER PILATES, AND ARE ADDING OTHER NEW CLASSES AS TIME GOES ON. WE HAVE A WONDERFUL MASSAGE THERAPIST WITH HEALING HANDS. 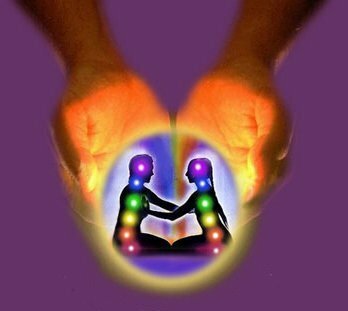 EVERY 3RD FRIDAY OF THE MONTH WE HAVE REIKI CIRCLES. 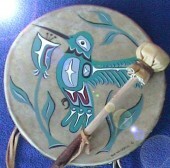 WE ALSO HAVE DRUMMING CIRCLES AND HOST HEALING WORKSHOPS. OUR STORE CARRIES YOGA SUPPLIES,BOOKS, CD'S,CANDLES,INCENSE,JEWELRY,TEAS,AND CLOTHING. 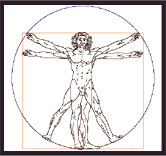 Advanced Body Therapy "Experience You Can Count On" with Les in Las Vegas, Nevada. I am the owner of Advanced Body Therapy. Graduated from Dahan Institute of Massage. I preform many different types of massage, including Medical Massage, Swedish Rejuvenation, Deep Tissue, Shiatsu, Trauma Release, Trigger Point, Reflexology, Reiki Treatments, Ear Candling, Sports & Pre-Natal massage. Chair Massage for office, conventions, and Trade Shows. Reiki Classes are available. Spiritual Healing & Energy Medicine of physical, mental, & emotional issues using Traditional Aboriginal Healing & Shamanic Services, Guided Journeys & Meditations, Medical Qigong, Quantum Touch, Reiki, Consciousness Power Medicine, Emotional Freedom Techniques (EFT), and much more. Available for private consultations, telephone consultations, and remote (distance healing) sessions. 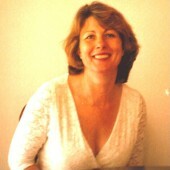 Linda Herrick is an Intuitive Healer and Reiki Master / Teacher in Usui and Sa Sekhem Sahu Reiki. She is also a public speaker on a wide variety of topics including women's health, safety, and wellness. 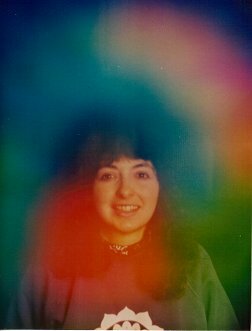 Linda is also a certified Hypnotherapist and does Past Life Regressions and Life Between Lives Regressions. Located in Plainfield, Illinois with an additional office in Joliet, Linda is available for private Reiki and Hypnosis sessions as well as long distance healings. Alternative Soulutions is dedicated to assisting you in achieving your vision of balance, health, and abundance in your life. We offer a wide variety of healing products and services to support you on your path. I provide a caring, personalised, holistic approach to resolving unwanted behaviours and symptoms, allowing you to move towards your highest potential. HYPNOTHERAPY covering all areas, specialising in stress management, confidence/self-esteem, weight issues, stop smoking, phobias and all spiritual areas, including Past Life Therapy. ANGEL-GUIDED hands-on healing incorporates aspects of Reiki and other forms of channelled energy. Friday or Saturday of the Month - $110. Learn self-healing (for others also) - 4 empowerments. Private healing sessions - $70 . 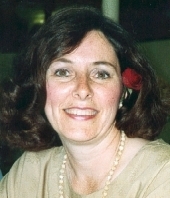 S. Gail Verbos, C.Ht., RMT, has been practicing Reiki since the early 1980's. I have found myself truly blessed to pass on these teachings to some of the most incredible healers of our time. I am available for Personal Reiki Therapy & Reiki Instruction, Meditation Groups & Instruction, Spiritual Counseling...as well as facilitator of The Melchizedek Method of ascension training & healing. (Classes can be facilitated in your hometown as well. Please ask for details). Reiki Tables & Supplies by Living Earth Crafts & The Oval, Music & Books for relaxation, meditation and healing. Massage Therapist Anne Atkinson has in her bag of tools Swedish Massage, Foot Reflexology, Soft Tissue Release, Myo-fascial Release and Polarity Therapy. She works with Physical Therapists, Chiropractors and Fitness Centers. For those immobilized for any reason and for the dying, Anne makes home visits.